This recipe is sponsored by Bumble Bee® Tuna. Are you ready to have your socks knocked off? I'm always trying to come up with easy clean eating ideas, and this Tuna Berry Mango Avocado Salad definitely makes the favorites list! 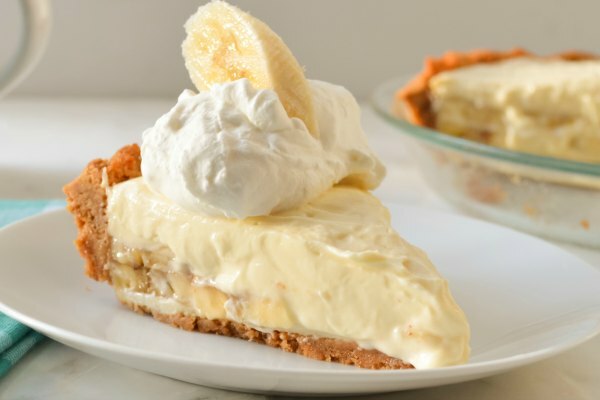 The flavors are amazing, and I just can't get enough of it lately! The kids have asked repeatedly to have this for lunch or dinner the last few weeks. It is that good! 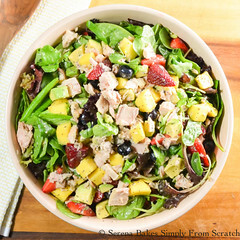 Tuna Berry Mango Avocado Salad starts out with Bumble Bee® Solid White Albacore Tuna in water, since it has a delicious firm texture, and fresh taste. It provides a quality I've come to know and trust when I open the can. 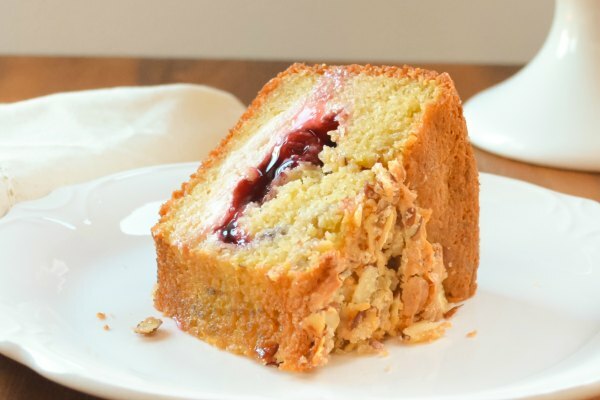 Make sure to try this recipe for yourself to find out why Only Bumble Bee® Albacore Will Do™. 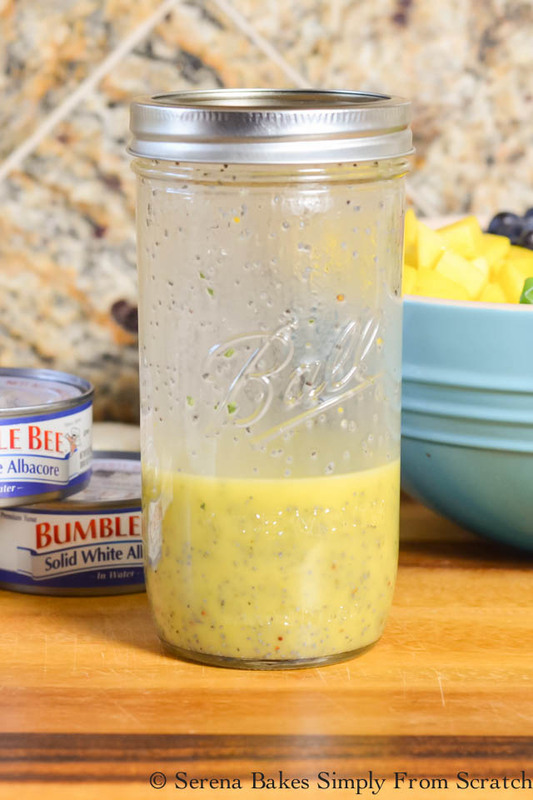 To make Lemon Poppy Seed Dressing shake together 1/2 cup extra virgin olive oil, 1/3 cup fresh squeezed lemon juice, 2 tablespoons honey, 1/8 teaspoon dijon mustard, 1/2 teaspoon sea salt, and 1 tablespoon poppy seeds. Shake until creamy, and well combined. 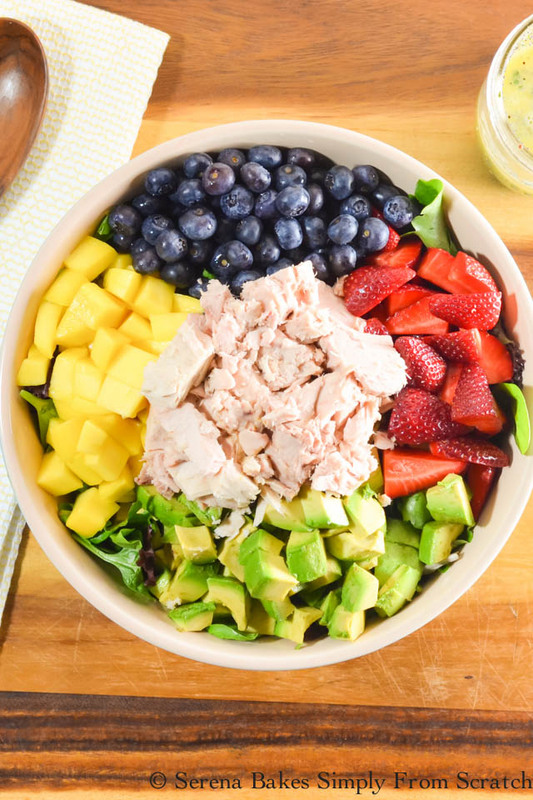 In a large bowl combine 1/2 pound mixed salad greens, 2 cups quartered strawberries, 2 cups blueberries, 2 cups diced mango, 2 whole diced avocados, and 15 ounces drained Bumble Bee® Solid White Albacore Tuna in water. Bumble Bee® Solid White Albacore Tuna is really an important component of this recipe. Chunk light tuna has a much different taste, and texture then solid white albacore, as you can see in the photos. 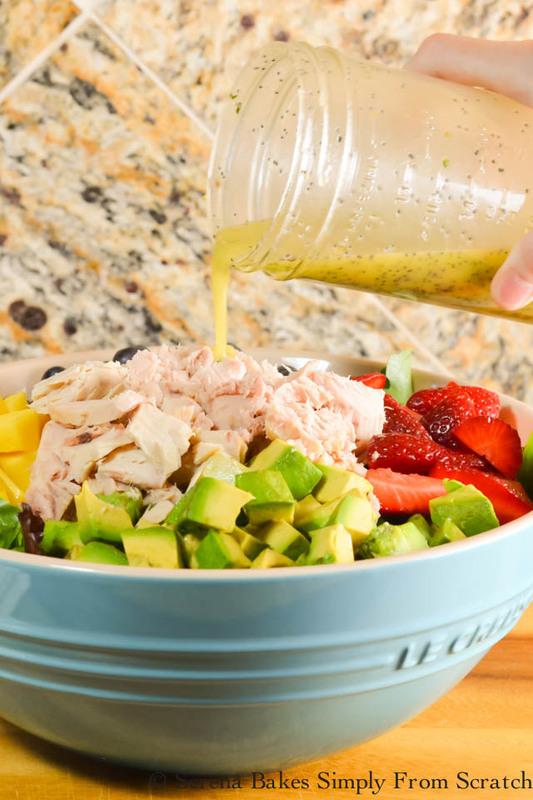 Drizzle Tuna Berry Mango Avocado Salad with dressing, and toss until well combined. The Lemon Poppy Seed Dressing really makes this salad pop, and pulls all the flavors together! Final verdict on Tuna Berry Mango Avocado Salad is it's a must make! 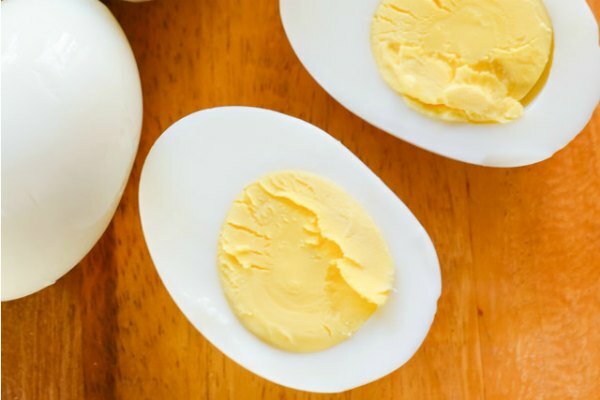 Under 20 minutes, healthy, and the whole family LOVED IT! Not much more to say there! 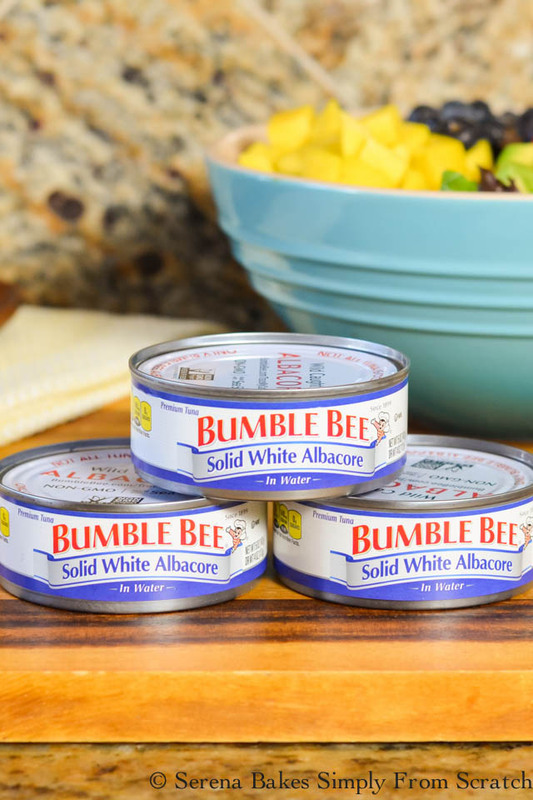 Find out more about Bumble Bee® Solid White Albacore Tuna at bumblebee.com for more information, and delicious lunch or dinner ideas! 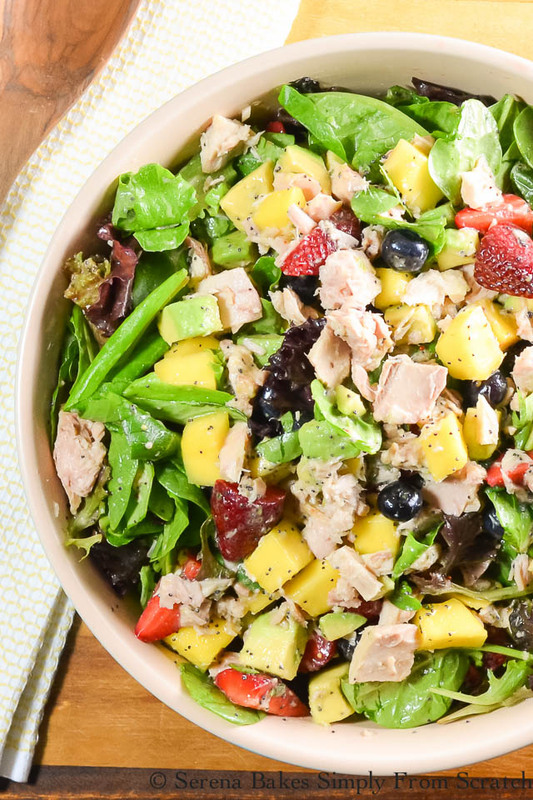 Tuna Berry Mango Avocado Salad is an easy healthy lunch or dinner in under 20 minutes. Combine all ingredients into a shaker jar. Shake until creamy, and well combined. In a large bowl combine all ingredients. Drizzle with dressing until coated. Toss until well combined. This is a sponsored post written by me on behalf of Bumble Bee Seafoods.